A female bottlenose dolphin called "Honey" and hundreds of other animals have been abandoned to die at a shuttered aquarium in Japan. 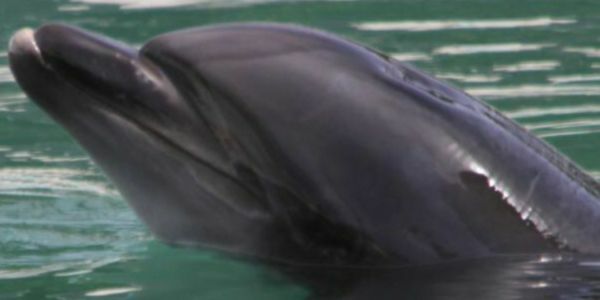 Honey the dolphin was captured in 2005 near Taiji, Japan. This western port town was featured in the 2009 documentary "The Cove" and became notorious for its annual dolphin hunt. After the film was released, Japanese aquariums like the one Honey is housed in came under fire for buying dolphins from Taiji. The annual Taiji hunt is a process in which hundreds of dolphins are driven into a cove. There, some of the animals are captured from the wild, taken away, and sold to marine parks. Other less fortunate dolphins are killed for meat. As a result of the public outcry, the Japan Association of Zoos and Aquariums has agreed to stop buying dolphins from Taiji. Then, in January 2018, the operator of the Inubosaki Marine Park Aquarium in the city of Choshi in Chiba prefecture, just east of Tokyo, shuttered the facility. They said the reason for it was a decline in visitors after the 2011 earthquake and nuclear crisis. But now, the animals have been abandoned. Honey is left alone in the closed down facility and needs to be relocated to a sea sanctuary along with the other abandoned animals. Along with her, there are 46 penguins and hundreds of fish and reptiles that have been deserted. Urge the authorities to act now! The marine park has been purchased so honey after over a year will stay at the marine park along side the other animals, i had 2 petitions running 1 which was handed in alongside Japanese petition, thank you to everyone who signed over 250,000 signs! Although this isn’t the outcome we all wanted we should hope it’s a learning curve for the cruelty dolphins endure in captivity around the world continue to suffer. The park plans to reopen in June. Today 27/09/2018 I shall be sending copies of this petition and signatures to Governor of Chiba Prefecture & Mayor of Choshi City in the hope that something can be done, the petition will still be active as I’m only sending copies, the clock is ticking for Honey and the other animals and the officials need to act now!